The Missouri Association of RV Parks and Campgrounds is a non-profit trade association representing the proud RV parks and campgrounds in our state. Search over 70 RV parks and campgrounds in Missouri. Click here. Go view our interactive guide of The Missouri Association of RV Parks and Campgrounds, or request a printed one by mail. Ready to take a break from your everyday life and want to discover a new state? Missouri invites you to explore its diverse landscapes and friendly people. Come and experience thriving cities, marvel at the quiet beauty of limestone bluffs and vast plains, where you enjoy Missouri hospitality. Escape the crowds, and explore Missouri’s great outdoors. Experience a wide variety of Missouri camping.From luxurious RV resorts to rustic hideaways, you’ll find the perfect spot to set up camp. Imagine sitting around the campfire with your loved ones, telling stories, and singing songs. In Missouri’s countryside you can pick out the brightest stars in the night sky and lay your head near a gently-flowing stream. Winding Missouri rivers call out to paddlers while the rugged Ozarks trail awaits hikers and bikers. Missouri’s many lakes and streams offer exceptional fishing and boating, while several underground caves in the Mark Twain region give visitors a sense of mystery. Missouri has more than enough outdoors to play in, as well as unique attractions for you to enjoy on your camping vacation. Discover the nightlife in St. Louis and Kansas City, stroll on Branson’s cobbled streets, or wander through Missouri wine country. Historic St. Charles is known for its warm welcome, unique perspective and beautiful sites. 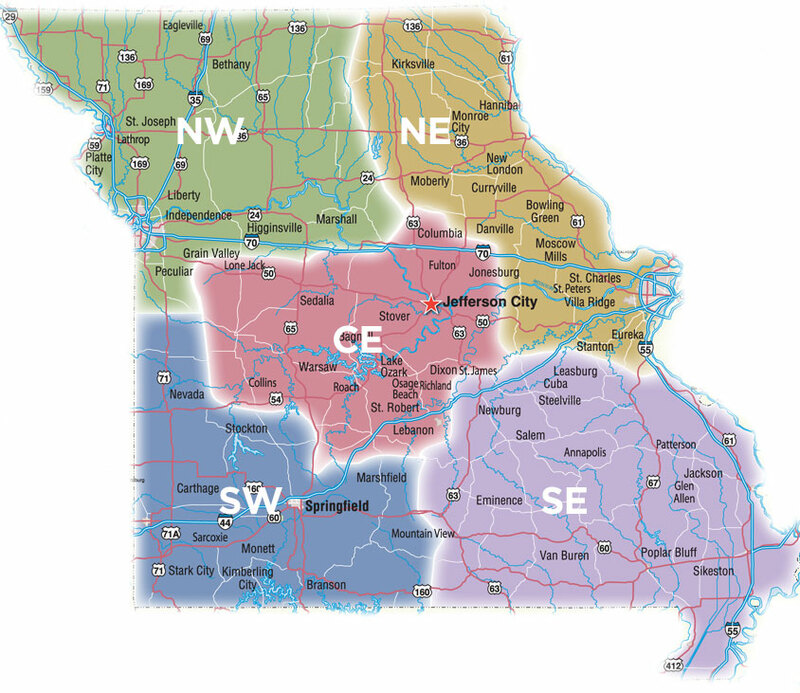 Whether it is art & culture, or heritage & nature you seek, they wait for you in Missouri’s ten regions. Looking to Camp elsewhere? Check out Access Camping - Camping Across North America. The Missouri RV Parks and Campground Association, MOARC, is a proud partner with ARVC, The National Association of RV Parks and Campgrounds, along with Go Camping America.